13 Above: Invisible Fears In Smoke-Remain Unrevealed!! Smoking is a habit that endangers a lot of people. If you are a smoker, you are not only "killing" yourself, but people around you as well. I know it is very hard to believe, but it's true? Well, you have to know. Let’s take a look at a few of the smoking facts that I collected, based on my research. There are 1.1 billion smokers in the world today, and if current trends continue, that number is expected to increase to 1.6 billion by the year 2025. Radioactive lead and polonium are both present in low levels in cigarette smoke. 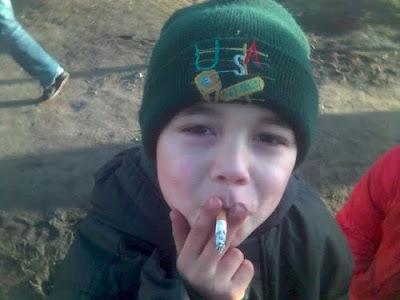 Kids are still picking up smoking at the alarming rate of 3,000 a day in the U.S., and 80,000 to 100,000 a day worldwide. On average, a smoker may and can die, 16 years earlier than a non smoker. Why? 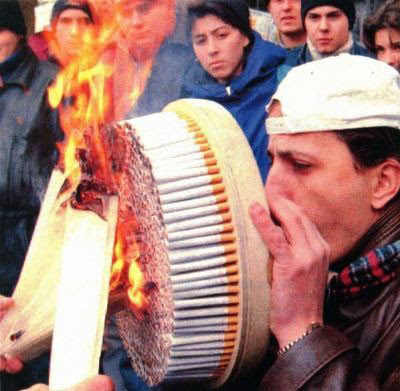 Because smoking cause some very serious diseases such as cancer and stroke. Generally, users of tobacco of all types – cigarettes, cigars, pipes, and smokeless tobacco – are 5 to 10 times more likely to get mouth or throat cancer than nonsmokers are. Approximately one quarter of the youth alive in the Western Pacific Region (East Asia and the Pacific) today will die from tobacco use. Cigarettes are not cheap. In some countries, the tax charged by the government could be as high as 300% or more! This cause the expensive price of the cigarettes. In US for example, a smoker could spend approximately $3000 or more a year. If you’ve been smoking for 10 years (like I used to be), just imagine how much money you have spent, and this money is used to kill yourself (or make you die earlier - that’s pretty much the same thing though). 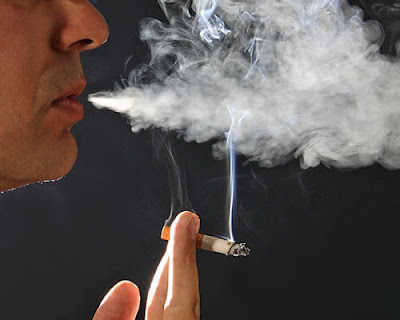 Second Hand Smoking Is Also Very Dangerous For Human- Is It True? I can explain it briefly but it is very hard to say that how many people could understand it! Because, a passionate smoker always think that his smoking habit does not harmful for others. So here is a small report for them. Secondhand smoke contains more than 4,000 chemical compounds, including carbon monoxide ( which poisons the human body), ammonia, formaldehyde, and other poisons. 4 of the chemicals – benzene, 2-naphthylamine, 4-aminobiphenyl, and polonium-210 are classified by the EPA as known carcinogens—cancer causing agents. Some 2 to 5 million US children suffer from asthma; of these, about 20 percent experience more asthma attacks and more severe attacks than their fellow young asthmatics, due to secondhand smoke. 3,000 nonsmoking adults die of diseases caused by exposure to second hand smoke every year. Secondhand smoke causes coughing, phlegm, chest discomfort and reduced lung function in nonsmokers. US infants and children under 18 months of age suffer some 150,000 to 300,000 respiratory tract infections (lung diseases such as pneumonia and bronchitis) every year, leading to 7,500 to 15,000 hospitalizations. So from now when you will lighted up your cigarette, will always remember that you are inhaling many innocent lives through that white candy. Smoking More than half a pack a day may cause infertility or irregular menstrual cycles in women. Menopause often occurs earlier in women who smoke than in women who do not. Pregnant women pass any chemicals they take in (from food, tobacco, alcohol and so on) to their unborn children through the placenta. Women who smoke during pregnancy can slow down the baby's growth by reducing the amount of oxygen and increasing the amount of carbon monoxide that the baby receives during a critical time when its brain and nervous system are developing. Babies born of mothers who smoke frequently during pregnancy are on the average 7 ounces lighter than other babies. Women who smoke have higher risks of giving birth to babies with birth defects or abnormalities. Is It Harmful For Teenager? It is harmful for everybody, but when it is a question of any teenager I can only say that he/she just clean his/her way to meet the mighty GOD... as soon as possible ! Each day 3,000 children smoke their first cigarette. At least 3 million adolescents are smokers. 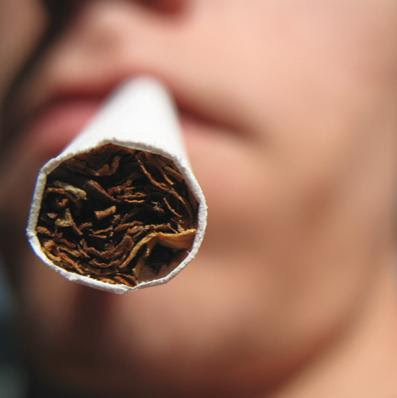 Tobacco use primarily begins in early adolescence, typically by age 16. Almost all first use occurs before high school graduation. 20 percent of American teens smoke. Roughly 6 million teens in the US today smoke despite the knowledge that it is addictive and leads to disease. Of every 100,000 15 year old smokers, tobacco will prematurely kill at least 20,000 before the age of 70. Of the 3,000 teens who started smoking today, nearly 1,000 will eventually die as a result from smoking. A 2001 Survey found that 69.4 percent of teenage smokers reported never being asked for proof of age when buying cigarettes in a store. The same survey found that 62.4 percent were allowed to buy cigarettes even when the retailer was aware they were under eighteen. In 1845, the sixth US President, John Quincy Adams, wrote a letter to Rev. Samuel Cox in Brooklyn, who was in the process of writing a book about tobacco and smoking. Adams told Cox that when he was a young man, he had been addicted to both smoking and chewing tobacco. When he decided to quit it took him three months.